UK Airshow Venues 2019 - Military Airshows in the UK. 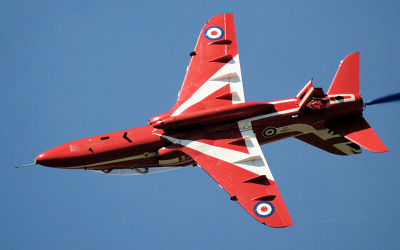 This page contains several of the larger or more established UK airshows including most of the seafront displays. Clicking on an airshow venue link • will take you to another page dedicated to that event. The page will include information on the history of the air show, location including county, sat-nav postcode, and Google map, route planners, hotel accommodation, weather forecasts, scanner frequencies, airshow countdown, links to the official airshow website and social media, details of ticket prices, and aircraft participation. There may also be links to reviews and photographs taken at the event. If your interest in aircraft lies in pioneer, WW1, inter-war, up to WW2 aircraft then Shuttleworth in Bedfordshire has several events throughout the air show season. Or if you prefer to see warbirds (WW2 aircraft) then Duxford in Cambridgeshire also has several airshows including the very popular 'Flying Legends' airshow normally held in July. You can see modern military jets at RAF Cosford in Shropshire, RNAS Yeovilton in Somerset, Scampton in Lincolnshire and the largest military air show is the Royal International Air Tattoo usually held at RAF Fairford in Gloucestershire. If you are new to the UK airshow scene then you can find more information at: • newbies.htm. You can click on the Google Map above to see the location of all these airshows. To see a list of all these airshows as well as other smaller flying events then check out the UK Airshow Calendar 2019 page. • RC Model Aircraft Shows 2019 Calendar. Click on a • UK Airshow or Seafront Air Display for more information. There will be a flypast for the Queen's Birthday as usual on the 8th June 2019. A calendar of all these UK Airshows & Flypasts as well as other smaller flying events can be found on the UK Airshow Calendar 2019 page.